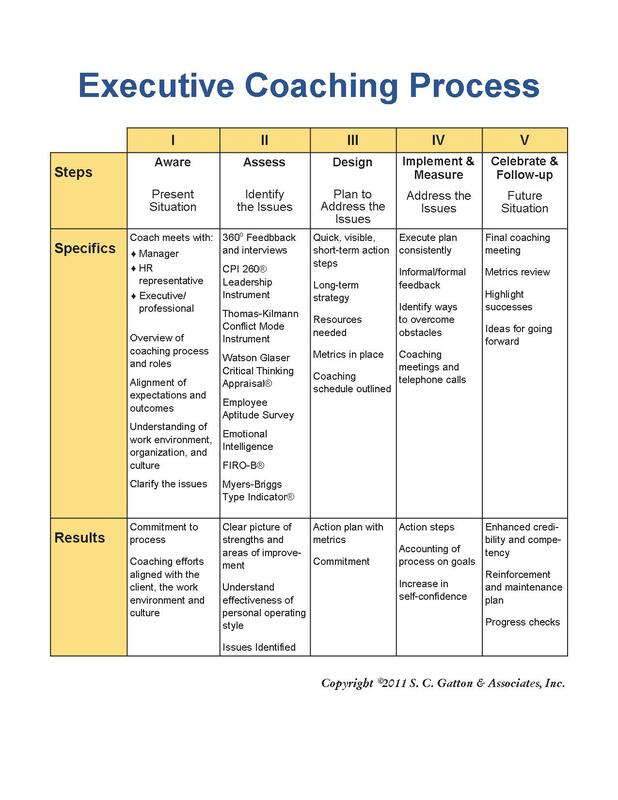 What does executive coaching involve? The higher the position, the greater the expectations. A combination of leadership, confidence, competence, and social acumen project an image of someone who should be taken seriously and who has the ability to influence others. Executive Presence Coaching helps you shape your career. It is a confidential, one-on-one, mutually designed relationship between Susan and the individual being coached. This coaching is designed for individuals in leadership positions and potential leaders who are recognized as valuable resources and significant contributors to their company. Executive coaching engagements extend from three months to one year. The length of time depends on the scope and depth of the desired outcomes. On average, coaching engagements last six months. Face-to-face meetings are scheduled for two-hour sessions every other week or four-hour sessions once a month with a scheduled telephone call in-between sessions. As an alternative to face-to-face meetings, a virtual coaching model is available. This involves scheduled telephone calls on a weekly basis for a predetermined period of time.